The DMC Dance Studio, located at 9110 Harmony Dr. in Midwest City, has been in business for the last 22 years here in the city. The studio has changed its name three time; Dance Masters by Christy & Co, DMC School of Dance & Music and now just DMC School of Dance. 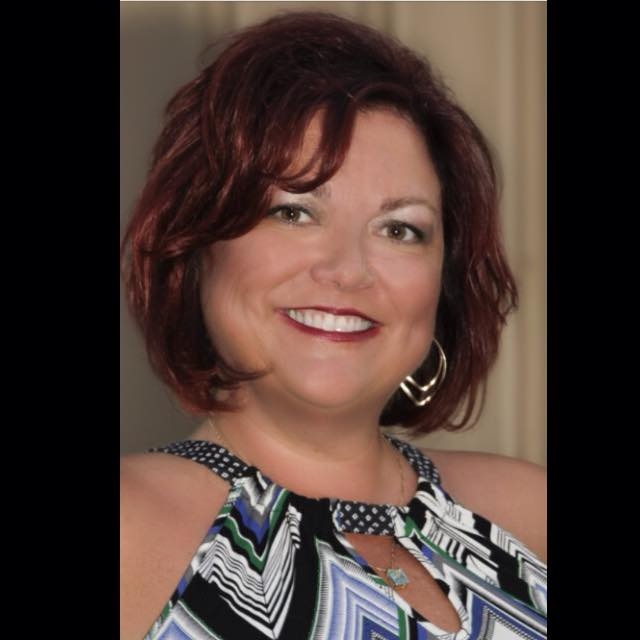 Christy Johnson, owner of the studio, opened her first dance studio at the age of 23 in Ft. Scott, Kansas in 1991. Her family moved back to her hometown of Midwest City in 1994 and she opened her studio here in 1995. The studio lost their building to the May 3rd 1999 tornado and has moved location six times around the city since opening. They moved into their current location in 2006. Their state of the art building has professional sprung neoprene marley floors in each of their three large dance rooms which helps to reduce fatigue and injury to the dancers. 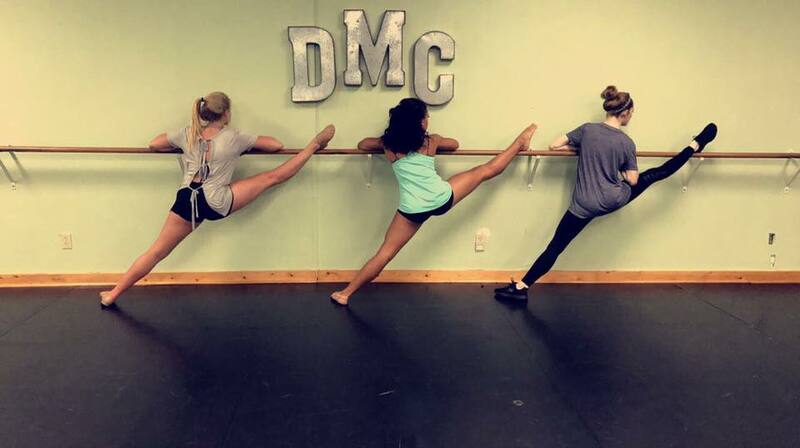 DMC offers dance classes starting at ages 2 ½ and up. 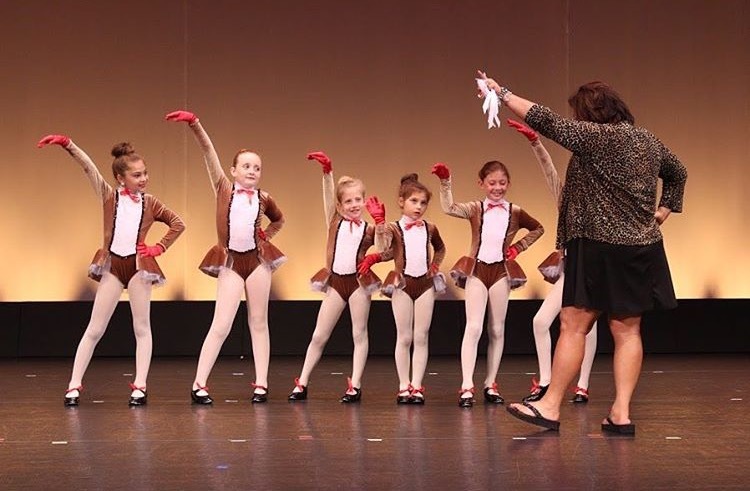 They offer tap, ballet, jazz, lyrical, hip-hop, Pom tech, pointe and contemporary dance classes. They also offer themed birthday parties in the studio. The studio’s number one priority is to help build self-esteem and character as well as to teach qualities and responsibilities for a lifetime of success. DMC was honored by its peers as one of the top 12 dance studios in North America by “Successful Studio Strategies” in February 2008, and had also been mentioned in “Dance Magazine”. Since 2012 DMC has been accredited as a member of the Better Business Bureau, became a member of the Midwest City Chamber of Commerce, and is a lifetime member of Cambridge Who’s Who Among Business Women. DMC studios has raised over $15,000 for local charities in the Mid-Del area, and prides itself in its involvement with many other charities including Dancers Against Cancer, Dancing for Diabetes, The Cystic Fibrosis Foundation, American Red Cross, March of Dimes and many others. DMC School of Dance is also hosting an upcoming open house and Benefit Bash on Saturday, September 9 from 1:00-5:00 p.m.
“We are raising money for the Karey Rolland Memorial Fund, that helps provide dance scholarships for dance students. The bash will include food, games, pictures with princesses, crafts, and raffle drawings. We would like to request participation from local businesses for our Benefit Bash by donating supplies to our event like food, drinks, and items for raffle drawings,” said Johnson. Karey Rolland danced at DMC Dance for 13 years, her life was tragically cut short on February 22, 2008 in a car accident. She was on her way to school that morning and a patch of frozen fog had settled on the street. When she applied her brakes, the car hit the frozen spot, spun out of control and hit a brick mailbox. Rolland’s dance class met that evening, but didn’t work on any dances for competition or recital, they did what they did best and danced it out with half the lights out, praying, crying and talking about Rolland. The dance was performed at her funeral, and each year they perform the dance at the recital in honor of her memory. DMC Dance and Rolland’s parents set up a memorial fund in her name. The money put into the memorial fun comes from her parents, personal donations, and money raised from the studio through selling things like recital t-shirts and teddy bears. This fund is used to help provide scholarships for lessons and incidentals. The money raised at the Benefit Bash will be added to this fund. Donations are always welcome year round and can be made out to “Karey Rolland Memorial Fund” and can be mailed or dropped off at the studio. “The Karey Rolland Memorial fund is very important to us at DMC School of Dance and we would like to thank you in advance for your support. We hope to see you on September 9 for a day of fun,” said Johnson. You can find out more about DMC Dance on their website at www.dancedmc.com. They are proud to call Midwest City their home, and are thankful for the continued support of the community as they look forward to many more years in business here.